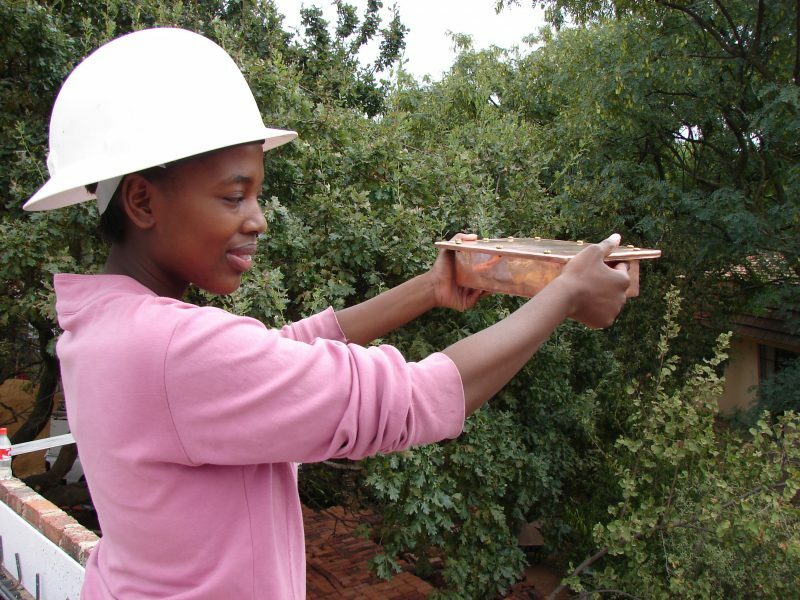 Michael Mount is a private, co-educational day school in Bryanston, South Africa. The school nurtures conscious, creative, independent thinkers in early childhood, nursery, primary, middle and high school – up to Matric. Type of school: Co-educational day school catering for early childhood, nursery, primary, middle and high school students – up to Matric. Number of pupils: 680. Capacity: 800 pupils. The diverse student body represents a wide spectrum of socio-economic backgrounds, languages and cultural groups from South Africa, Africa, Europe and elsewhere. Average class size: 25. Number of teachers: 65•Teacher qualifications: Degree plus a 2-year Waldorf education certificate. All teachers undergo mandatory biennial appraisals and training. Medium of instruction: English. Afrikaans and IsiZulu are offered as second languages. Curriculum: The Curriculum of the Waldorf schools is used up to Class 11. It includes all subjects required by the Department of Basic Education. In addition, all students participate in artistic, musical and dramatic studies. Matric: Michael Mount students write the internationally recognised Independent Examinations Board (IEB) National Senior Certificate examinations in Matric. Of note: Michael Mount students have maintained a 100% pass rate since the first Matric class wrote finals in 1987. Michael Mount Waldorf School is based on a century-old educational philosophy proven so successful that it has become one of the fastest-growing educational systems in the world. Here’s how it all started. Rudolf Steiner was an Austrian scientist-philosopher who had articulated thought-provoking ideas on education in a series of public lectures and an influential 1907 essay titled ‘The Education of the Child’. The essay described the major phases of child development that formed the foundation of Steiner’s approach to education. In the aftermath of World War I, Germans suffered economic depression and a deep sense of despondence. Emil Molt – a German businessman, social reformer, anthroposophist and director of the Waldorf-Astoria Zigarettenfabrik in Stuttgart, Germany – invited Dr. Steiner to lecture to the more than 1,000 employees of the factory. The lectures at the Waldorf-Astoria Zigarettenfabrik in 1919 resulted in a request for Steiner to start a school at the Waldorf-Astoria Zigarettenfabrik. Steiner agreed to do so on four conditions: the school should be open to all children; it should be co-educational; be a unified twelve-year school; and the teachers who would be working directly with the children, should take a leading role in the running of the school – with minimum influence from government or economic forces. Thus the first Waldorf school was born. It was designed to cultivate highly conscious and resourceful human beings who could create and live successful lives in the uncertain times that followed WWI. In 1922 Steiner presented his ideas at Oxford. The conference, which was called for the purpose of exploring Steiner’s ideas on education, led to the founding of the first Waldorf schools in Britain. Many more schools based on his educational principles were founded in Europe during Steiner’s lifetime. Today there are more than 1,000 registered Waldorf schools, more than 2,000 Waldorf early childhood development facilities, more than 600 curative education facilities, and more than 60 Waldorf teacher training facilities spread across the globe. There are many more Waldorf-inspired programmes, as well as government and charter schools informed by Waldorf pedagogy. South Africa is home to 18 registered Waldorf schools and one Waldorf teacher training facility in Cape Town. Michael Mount Waldorf School in Bryanston, Johannesburg, was established in 1960. The school houses an Early Childhood Centre, as well as a Nursery, Primary, Middle and High School – up to Matric. Michael Mount students write the Independent Examinations Board (Insert IEB logo) National Senior Certificate examinations in Matric. 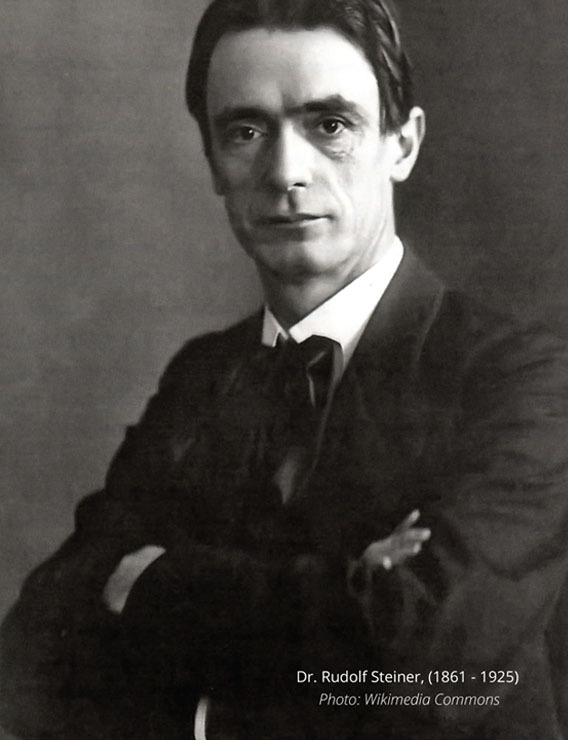 Who is this man called Rudolf Steiner? “the greatest contribution to world peace and understanding of the century” by Willy Brandt – a Nobel Peace Prize Laureate and the former Chancellor West Germany. 1964: The school acquires a 5-hectare campus on Culross Road. 1969: The College of Teachers is founded in October. 1971: The swimming pool is completed. 1973: The tennis courts and first three permanent classrooms are completed. 1975: The nursery school moves into permanent classrooms. 1976: The Bryanston Organic Market opens on the grounds. 1980: The high school starts. 1981: The Council of Management is established. 1989: Building of the school’s auditorium commences. The Michael Mount Outreach Programme is established to share expertise, resources and facilities with disadvantaged schools. 1990: The Michael Mount aftercare facility is established. 1996: The Cyber Centre is completed. The school gets its logo. 2000: Start of the Toddler Group for children aged 2 to 3. The school gets its first bus. 2002: Hosts the National Waldorf Teacher’s Conference. 2004: Four new classrooms for the high school completed. 2005: The International Waldorf Youth Kgotla (conference) with youth from all over the world, is hosted by Michael Mount. 2006: Building of a new high school block commences. 2008: Hosts the National Waldorf Teacher’s Conference. 2009: The Library is completely transformed. Computerised cataloguing starts. Double streaming reaches the high school. 2010: Michael Mount turns 50! 2011: Michael Mount acquires the Steiner Centre from the Anthroposophy Society on campus. It becomes the Steiner Centre for Art, Music and Drama. 2015: Two adjacent properties are purchased bringing the total size of the Michael Mount campus to 6 hectares. 2016: The Early Childhood Centre is established and the high school block is extended. 2018: The AdVenture Leadership programme for post-matric students is launched. Read A brief history of Waldorf education here. The Michael Mount logo is an organic image that signifies a promise: the unfurling of a new leaf … the emergence of new life growing towards actualisation. The logo embodies a core Waldorf tenet: that the child is not a vessel to be filled, but a unique being with innate and complex capacities to unfold and develop. The unfolding leaf is presented inside a pentagram. A pentagram is a five-pointed star drawn with five straight strokes. The points of the star are sometimes connected and sometimes encircled. The symbol of the pentagram has been used since time immemorial with widely differing meanings assigned to it by different cultures and religions. It is present in Neolithic caves, in early Sumerian scripts, and in Mayan, Greek, Indian, Egyptian, Chinese and Japanese cultures. In Western traditions the single point upwards was understood to depict spirit presiding over the four elements of matter: earth, water, air and fire – representing the triumph of spirit over matter. The triangles on the inside of the spiral represent geometric designs prevalent in Africa. The logo was designed in 1996 by a school parent, Gill Lanham. Every building deprives a portion of the earth of sun, wind and rain and probably plant and animal life as well. It must redeem this sacrifice by the healing quality of its architecture. The designing of Waldorf schools is a collaborative process all over the world. While an architect is invariably responsible for the final design, the entire school community – teachers, parents, students – is invited to give their input regarding the functions that the building must serve. The end-result is organic, holistic and creative. The master plan for the building of Michael Mount was drawn up in 1983 by Hinrich Witt, a German architect familiar with Waldorf architectural principles – following a thorough process of consultations with teachers and parents at the time. “Central to the design of the school’s buildings is the understanding that all characteristics of an interior space, such as forms, proportions, light, colours and textures, work profoundly on the human beings in it, even if they are not always aware of it. The way a room works must also be appropriate to the stage of development of the children in it. Class One children, for example, feel that they are part of a family, with the teacher as a parent. They need to be held and protected. A room with a basically round form is therefore appropriate. Pink is a suitable colour. A room like this, though, would not be suitable for a high school class. A feature that is present in all the classrooms and in some other spaces, notably the auditorium, is the rather high ceilings and their somewhat upwardly arched shape. This gives a feeling of upliftment, very necessary in our often rather depressing world. These kinds of considerations, based as they are on the needs of the human being, have nearly always been present in planning the school’s buildings. When the school first moved to the Bryanston site, financial constraints resulted in a number of prefabricated buildings being erected. There was an agreement with the Sandton Council that these would be replaced by permanent buildings within three years. Despite this, two of them still remain in service. They can be seen in the centre of the grounds. The first permanent structure was the toilet block adjacent to the present science laboratory. It is noticeable that the roof design is rather different to any of the other buildings – it looked like and was called “the Chapel”. At Sandton Town Council’s insistence, the first three permanent classrooms were built on the Bryanston Drive side of the property. Next to be built was the Nursery School classroom closest to the sports field. Plans, drawn up by the late Johannes Jellinek (who was our Woodwork Master), were passed and building began. This classroom was built by interested fathers who took building courses under the guidance of Mr Nielson, foreman of Roberts Construction. On Thursday evenings they received theory and on Saturday mornings came the practical work. All went well until the upper walls lost alignment and Roberts Construction had to come to the rescue. The second Nursery School classroom was built professionally by them. The beautiful auditorium is the heart of the school. The project, a bold one for a school of our size, was launched by large donations from individual families, especially Mr and Mrs Wertheim Aymes. Initially only the foundations and part of the stage walls could be built. This served as an open air theatre for a while. Further funds were raised and the structure was brought to completion in 1989 and it truly expresses the spirit of the school community. Tracy Ludick with the copper casket that was cemented into the wall of the new high school building in 2007. In March 2007 a copper casket filled with the hopes and wishes of all the high school students of that time was buried in the main wall of the new high school block. The ceremony involving all the high school students, teachers and the builders, was reminiscent of another, similar ceremony that took place at the school in 1972. At that time, the whole school had gathered to lay the foundation stone at the site that was destined to become the entrance to the Primary School. The ‘stone’ was a copper dodecahedron casket constructed by Professor de Brey. Act of Faith: A History of Michael Mount Waldorf School compiled by Eileen Tippett. Published in 2010 to mark the school’s 50th anniversary. impart purpose and direction to their lives. He founded a system of agriculture known as biodynamics, which is in use all over the world today and contributed significantly to the development of modern organic farming. His work in medicine led to the development of a broad range of complementary medications and therapies, with international pharmacies (Weleda) and clinics and a number of hospitals based on his work. There are homes for children and adults with developmental disabilities in many parts of the world, based on his understanding of human nature. His paintings and drawings influenced many modern artists. His painting techniques and use of colour in art have influenced modern art therapy. He is one of very few major architects who was never a pupil of another major architect. Three of the 17 buildings he designed have been listed amongst the most significant works of modern architecture in the world. 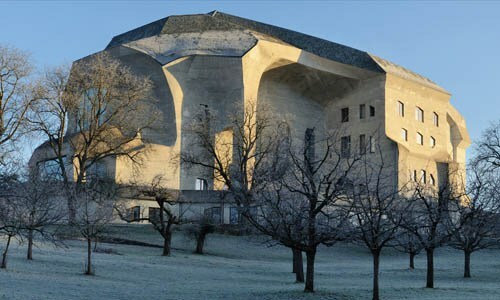 His Goetheanum, now a national Swiss monument, has been hailed a “true masterpiece of 20th-century expressionist architecture”. The concept of ethical banking is based on his ideas. He emphasized the core spiritual unity of all the world’s peoples and sharply criticized racial prejudice. He believed that race and ethnicity are transient and superficial, not essential aspects of the individual. He predicted that race would lose its significance for future generations. His writings and lectures on social reform were endorsed by many cultural figures of the time, including Hermann Hesse. In conjunction with Marie von Sivers, (whom he married in 1914) he founded a new approach to acting, storytelling and the recitation of poetry, as well as a dance-form called Eurythmy – sometimes referred to a ‘visible speech and song’. A four-year accredited European speech-training course is based on his work. He founded Waldorf education – a system that has become the largest non-sectarian educational movement in the world. At the time, his approach to education was a revolutionary shift away from rote learning to experiential learning. Why, if he is so great, do we know so little about Rudolf Steiner? But Steiner also defies convention. He does not fit neatly into any specific classification of knowledge or intellectual enquiry and he is often dismissed as a mystic or an occultist. And, like so many visionaries and thought leaders throughout history, Steiner was a product of the conventions and belief-systems of his time. Those who make the effort to truly engage with the legacy of this man cannot help but be deeply touched and transformed. Be prepared, though, to be challenged and to think deeply in the context of ideas originally expressed in German during the 19th and 20th centuries. Here’s how the man and his work have been described by people who either knew him or who investigated his work. If you would like to learn more, take a look at the ‘Featured Channels’ posted on the Michael Mount Waldorf School YouTube channel.